Wedding table decorations are one of the most popular themes in decorations for wedding. These are the tables where the guests and the couple spend most of the evening. Looking for the wedding table decorations ideas and creating them the special attention should be paid to the details: linen, favors, centerpieces, decorative elements as rose petals as they are used in decorations, ribbons, flowers. 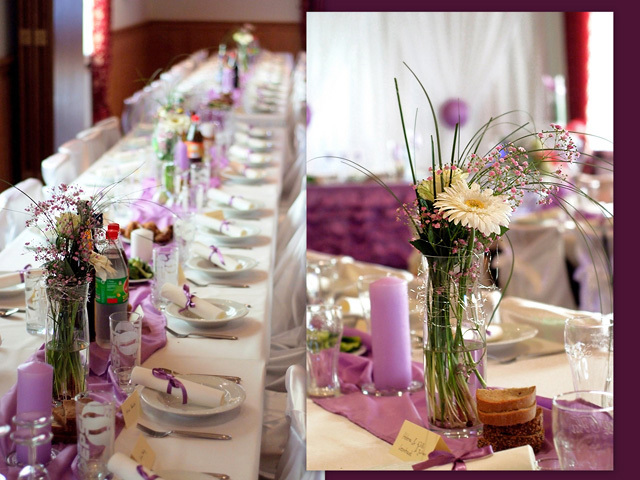 The elements that create the atmosphere and style of wedding decorations are backdrops, chair covers and table linen. The colour of the fabric used for decorations can change the space and table decorations creating romantic or elegant or festive image.